The LION method, and how to use intermittent fasting to speed up weight loss further. Let’s start with a bit of background. Intermittent Fasting (IF) is a pattern of eating. It defines periods of eating and fasting. It’s not a diet but rather a dietary structure which can accommodate many different types of food. You can use IF to improve your health and fitness. You can see intermittent fasting in the works if you look at the animal kingdom. Human evolution also mimics this structure. This stands in direct contradiction to modern culture. A a culture that promotes small meals every few hours or that being a little hungry is a bad state. Intermittent fasting is revolutionary because it challenges modern approaches to nutrition and diet. Statements like “breakfast is the most important meal of the day” – no longer make sense. Same with “6 to 8 meals per day to boost your metabolism”. They do not stand shoulder to shoulder with IF practices. Most methods involve at least a 12 hours fasting period. This also means skipping breakfast and not being able to eat 6-8 times a day. We see many benefits with these methods. Both in markers of health and longevity, as well as a bigger potential for weight loss and strength gains. Sounds interesting? We hope so! Drives ketogenic states and helps fat adaptation. Reduced inflammation and oxdiative stress. Increased markers of longevity (live longer). Some rat studies have shown an increase of 36-83% in life span. Improved lipid profile and reduction of blood cholesterol. Helps prevents disorders later in life such as Alzheimer. Helps improve blood circulation, especially around the abdominal tissue. A lot of those benefits have connections… let’s break it down. Intermittent fasting works for weight loss without a doubt. It happens through reduction of Insulin (a hormone that promotes fat storage). 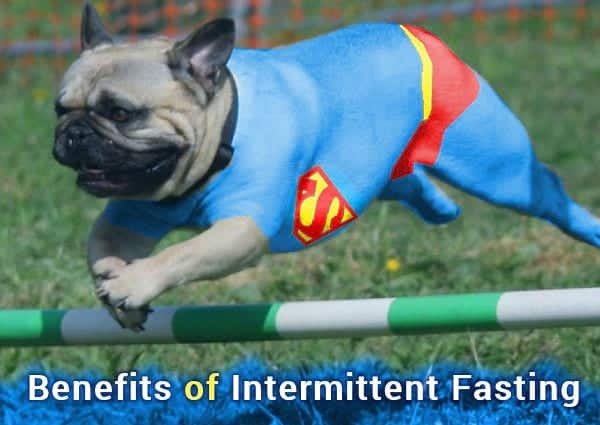 But that’s not all…as it turns out, Intermittent fasting helps with weight loss in stubborn areas. Areas like belly fat and love handles. Their subject ate similar amount of calories through out the day by adding to the meals. So instead of having 3 medium size meals, they had 2 meals which were somewhat bigger. They lose more weight, despite consuming a similar amount of calories. In my humble opinion, this is one of the biggest faults of many modern day IF methods. They fail to acknowledge that calorie reduction is not the main driver behind intermittent fasting results. We explore this in details within the LION Protocol (more details down the page). Insulin is antagonistic to both growth hormone and adrenaline. That means if Insulin is low, you get more GH and better adrenaline response (fight or flight). With prolonged reduction of Insulin, we can see inhibition of Alpha-2 Receptors on fat cells. These receptors block lipolysis (fat-breaking) and makes your life hard. They are most abundant in the abdominal tissue and around the obliques (li.e. Belly fat and Love handles). By inhibiting them, we can gain better access to a layer of fat which is otherwise stubborn. IF also helps to trigger apoptosis (elimination of small fat cells so they don’t have the chance to regrow). 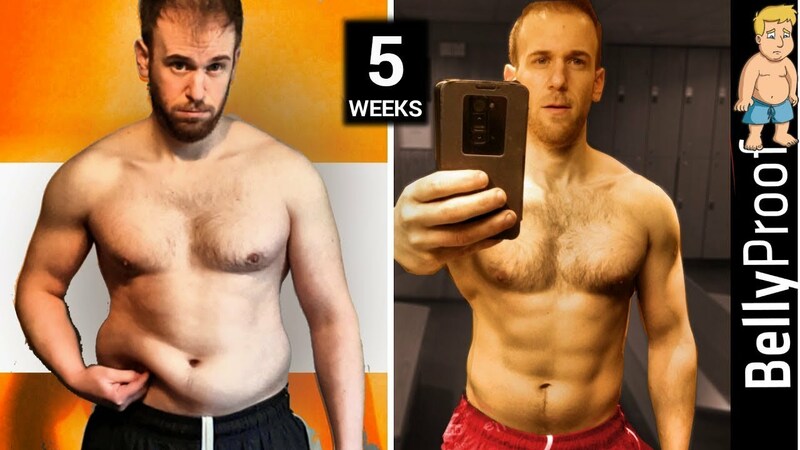 This is of course very important for people who lose weight and find that it comes back. In reality, we shrink the fat cells (and lose weight) but until you force them to self-destruct, they can grow back. IF helps your cells become adapted to fat as a source of energy. Because no sugar is available, the mitochondria has to make changes over time. Adaptations to be able to use body fat (and as a result, ketones) as a source of energy. There are also marked improvements in blood circulation (especially to the abdominal tissue). And more improvement in gut repair. This means our entire metabolism (read: gut health) is in a good place. We can work better, absorb food better, increase our mood, our energy and improve our sleep. This also means a reduction in systematic water retention and inflammation. Which are also related to weight loss. Can you build muscle while intermittent fasting? Building muscle while doing intermittent fasting is possible but not efficient. This is because you will get less of each. Less protein synthesis and less metabolic stimulus (via pump). But you can achieve amazing strength gains without losing any muscle during fasting. During a fast, your senses get sharpened and your adrenaline goes up. This is identical to an animal in nature getting ready to hunt. That means your strength levels peak. You often experience strength that is otherwise out of reach. This is why things like fat loss, mobility and strength training can work well when fasted. At the same time, tasks that requires repetitive nature and loading will suffer. For example: muscle building efforts, are high reps and without glycogen, stamina suffers. Because your muscle glycogen levels are going to be lower, your wouldn’t be able to pull a lot of water into the muscles. That means you also won’t be able to get a good pump. A good pump is paramount to building muscle as it’s an internal signal from within the muscle cell to grow out. It also means you will have less “juice” and fatigue faster on high rep training like bodybuilding. Another concern is amino acids availability, a key stimulus for protein synthesis. During a fast, you won’t be able to eat protein / amino acids (if you do.. you’re losing the benefits of higher than usual peak strength). This means your blood won’t have good saturation of amino acids. Amino acids are the building blocks of protein, including muscle protein. You will need to have good levels of amino acids in your blood before, during and after training. 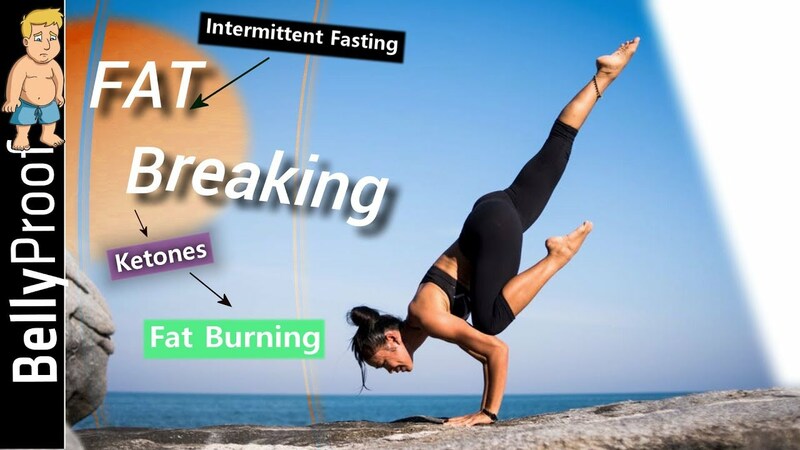 This is not possible while doing intermittent fasting as it would break the fast. If your main focus in muscle building, consider skipping intermittent fasting. Instead, stick to a few small meals a day, high in protein and carbs. Yes, this is not the optimal strategy for weight loss or longevity but it will help you build muscle mass. Then, every now and again, you can take a break from muscle building and resume intermittent fasting. That way you can enjoy some of the benefits without sacrificing your effort for little gains. How does intermittent fasting helps with longevity? 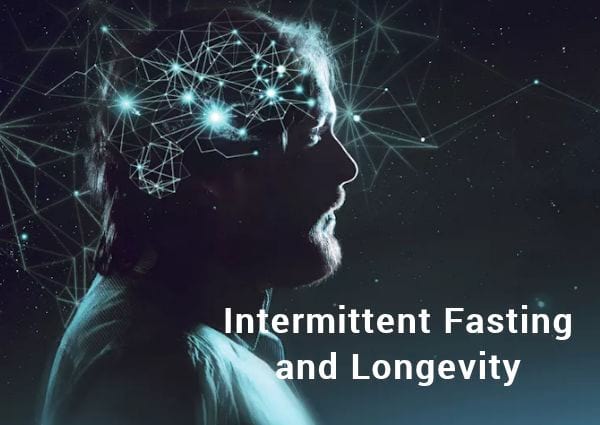 Recent studies show that intermittent fasting can help extend your lifespan and slow down the aging process. This is because fasting can help your body regenerate and repair on at the cellular level. Fasting also increase BDNF hormone which promotes cognitive health. If you can improve your lipid profile, gut health, cholesterol and hormonal balance, you will also experience better health. Another less known effect of intermittent fasting is increase in a growth hormone for brain matter, BDNF. BDNF (Brain-Derived Neurotrophic Factor) can help neurogenesis, or the creation of neurons in the brain. This is the same neuroprotection you get from good exercise, eating fish and creating mental stimulation. It can help protect you from degenerative diseases like Alzheimer and dementia. This is a small part of why we get stimulated and focused (primarily via Adrenaline release) after a long fast, it sharpens your brain. How can you start with intermittent fasting? There are a few popular ways you can start with IF. I’m going to details the protocols below, including my proprietary method called the LION Protocol. Eat-Stop-Eat is the work of Brad Pilon. A great deal of the research into intermittent fasting was done with a similar 24h format. In a way, this method has paved the way for others with initial and promising summary of the research. 24h Fasting, once or twice a week. Stop eating after dinner (say 8:00pm) one day, and skip all food until the next dinner (at 8pm the following day). Water, Coffee, Tea and non-alcoholic drinks are ok but no solid food. You can have those drinks as long as they are raw (i.e. with nothing added, no milk, no cream, not even sugar). The plan permits artificially sweetened drinks. Exercise is always encouraged. Especially beyond the 18h as there are extra benefits. It’s hard to do. 24h fasting can mess with you. By allowing artificially sweetened drinks, it is killing a great deal of the benefits. Yes, it might be easier for people with a sweet tooth but this system is not about easy. Artificial sweeteners in drinks still cause insulin to spike. 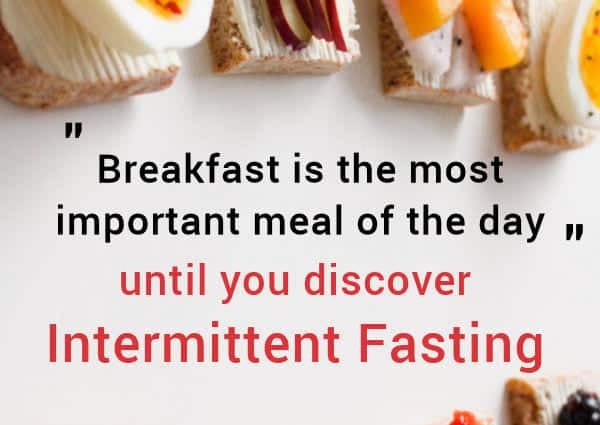 In turn, this means we can forget about a lot of the benefits associated with fasting. They are also very harmful to your friendly bugs (probiotics). This method (by Martin Berkhan) became popular as it is easier to do. It goes by the name of the LeanGains protocol or 16/8 Intermittent Fasting. Men fast for 16 hours (and eat for 8 hours), women fast for 14 hours (and eat for 10 hours). Easy to do on a daily basis. You are allowed water, coffee, tea with a splash of milk / sugar – as long as it’s under 50 calories. Zero calorie drinks (like diet sodas) are allowed. Training at any point during the day, a few times a week. I love that it’s accessible and anyone can do it. It’s basically a matter of skipping breakfast. You may be getting less benefits but you are getting them every single day. I don’t recommend doing it in this format at all. Not because the timing is bad, but because the compensations the system allows. These ruin a lot of the adaptions and benefits it promotes. Example 1: It doesn’t matter if your nutrients are from solid food or if you drink them. As long as you consume them, they are still creating the same response. In this case, they will still create an Insulin spike. Yes! Even at “50 calories or less” as some sweeteners can have 0 calories and still create an Insulin spike. If your Insulin isn’t at rock bottom, you are shooting yourself in the legs. You can only get good growth hormone levels when Insulin is down. Example 2: I’ve seen posts on LeanGains promoting diet sodas, you know… because it has zero calories. Well… those “zero calories” substitutes still create an Insulin response. They are also terrible for your gut health and microbiome. Overtime, this will have a very negative effect on your health. Example 3: if you are having milk in your coffee or protein powder.. it’s still food. That means you have now broken the fasted state. Not only that, small amount of foods during fasting can promote hunger. BCAAs can be ok (they metabolize directly in muscle tissue). That said, I don’t know anyone who is happy to drink raw BCAAs or take massive tablets. Most people who take BCAAs do it by buying mixed up drinks which uses sweeteners. I can’t blame them because I know how vile it tastes (it’s all due to L-Leucine, the most effective of the branch chained amino acids). Still, if you throw in sugar / sweeteners with something good, you erase the good effects with bad ones. The 5:2 diet is a bit of an abomination 🙂 Made popular by Michael Mosley in his documentary about intermittent fasting for the BBC. For 2 days a week, restrict your calories to 500 calories for women or 600 calories for men per day. No actual structure, you could have 6 meals of 100 calories or 2 meals of 300 calories – this is not really fasting. As it happens, working in London myself, you meet people! One of my clients was taking part in making this documentary. This means I have a bit of inside knowledge! As you can expect, the BBC isn’t always the most extensive in their research. As it turns out, they had a lot more data they didn’t explore or tested. Why you ask? Well… it’s all to do with political correctness in mainstream media. After all, promoting a structure that may be effective for weight loss can be negative. According to the media, it may also encourage those with anorexia or bulimia to take part. So this promote self hatred and body image issues in those populations, according to the BBC at least. So as you can see, research into this diet is lacking and their results are lacking. It would be interesting to point out an obvious disconnection. The method uses calories as a goal, rather than fasted times. It attributes success to fasting but it only deals with calories. With this diet, we take a step back from intermittent fasting and worry yet again about calories. More titles (calories), less context (specifics) is a bad idea. Fasting every other day. On one hand, this can produce a lot of results. Then again, it’s hard for most people and it will be hard to promote good exercise on this platform. Of course, fasting without the exercise cuts the spectrum of possibilities. Some versions of this diet allow you to have 500 calories equivalent meals in either 1 or 2 meals. This is not a lot of food at all. This is a strict diet, which means you will often go to sleep hungry. I can see it working against you. First, on gut health as most people aren’t dieting in a way that includes prebiotics. I don’t like that it doesn’t promote exercise which is a big missed opportunity. Fasting creates optimal conditions to improve metabolic responses in training. Instead this seems to be a diet only, calories based approach which I do not approve of. This is a primal approach by Ori Hofmekler. It revolves around a longer fasted state of around 20 hours and smaller feeding window of around 4 hours. Semi-Fast all day. You can eat small amounts of dairy, vegetables and non-calorific drinks. Eat a HUGE meal at night – Paleo style is ideal. You are not restricted from any foods and you have 4 hours to eat whatever you want. The focus is on raw veggies and animal products. This diet is not a form of intermittent fasting. Can you guess what some of the benefits of sticking to it? Well, you likely won’t feel hungry and end up fasting for a few hours between bites. It’s an interesting approach but can not produce the exact same benefits. Benefits such as increased weight loss are beyond this approach. This is not a bad approach, but it lacks structure and results will vary to a large amount. Some people will use it well, others will abuse it well. Don’t plan anything but try to skip a meal and not fill guilty about it. For example, if you’re not hungry or don’t really want to cook. Say you worked late and skipped breakfast or lunch. Instead of trying to make up for it, you might as well be aware of the benefits. So you can choose not to ruin it with a snack or a latte from your favorite coffee shop. Instead, try and prolong the fasted state for as long as possible to rip some of the benefits. My verdict is.. it depends. This is spontaneous intermittent fasting, not a structured one. It’s doing things without planning which could work. But only if you ended up doing them right (following a good structure by mistake). antidepressants. They can also not work, if you ended up mixing things up. Following a good structure may prove much more beneficial. 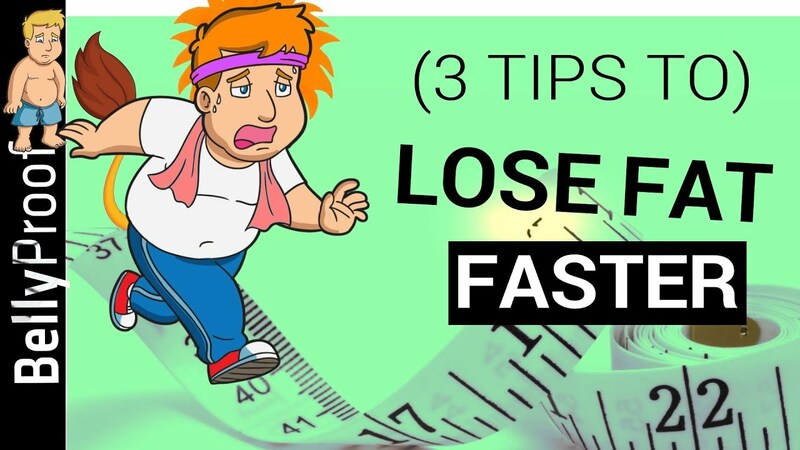 If you skip a lot of meals, and use prolonged fasted states to also train the right way, this could work for you. Otherwise, you’ll probably end up worse. This method is proprietary to BellyProof. It is all about optimizing for low insulin and high growth hormone. These two have opposite relations. Its not dealing with calories at all. It examines how to optimize hormonal states for greatest fat burn and the least fat storage. We optimize around 12h fasting. It’s true that longer fasting up to 18h may be even better for weight loss. It’s unrealistic to expect most people to fast for 18 hours a day – every day. If we had to choose between 18h twice a week for a massive boost of growth hormone and 12h, every single day, we’d get more boost from the 12h fast. Why did we need another protocol? This is the proprietary protocol that I developed for BellyProof. I wanted to marry the effusiveness of 24h fasting with insane hormonal benefits, together with the ease of a protocol like LeanGains. LeanGains is easy to do but misses on key points to become as effective. Eat-stop-eat exposed a lot of benefits in longer fast in regards to hormonal states. Calories shown not to be the driving factor. Most people ended up eating the same amounts using different timing. They still saw great benefits from the structure – despite having similar amount of calories. Thus, they are not the driving force. In most scenarios, you couldn’t have breakfast. Yet they still stress the importance of having breakfast on auto-pilot. The evidence aren’t there. Starvation mode wasn’t documented in any of the cases. Implying the old approach the fitness industry had towards metabolism, might need a good review. The research list the protocol they followed, when and what they ate, restrictions and the exercise they did or didn’t do. The research presents a list of changes that were measured when running their blood work. Changes to hormones, enzymes, lipids, cholesterol and other biochemically relevant compounds. They also report on changes to increased strength, lipid oxidation and variables such as mood, hunger and energy. If only you stopped there! You would have everything you need to determine what makes the protocol better or worse. Instead, most of the research papers list one more thing – calories. They show we’ve got those amazing benefits, and oh… yeah.. they also had this amount of calories or that amount of calories. The focus now turns to calories. Even though we had a ton of information pointing that calories were hardly a factor. It’s not a simple a miss, it’s a mess! I felt I needed to look at the information with a fresh set of eyes. For a change, without considering calories, but focus on everything else. If you think this is unreasonable, you may not be aware of the many faults the calorie theory presents and how it came about. You might want to click here to read about calories in a different light. How does the LION Intermittent Fasting Protocol works? The Intermittent Fasting LION Method is a strict yet easy protocol done daily. Designed to cut Insulin and maximize Growth Hormone, all without considering calories. The protocol secures better results in weight loss and especially around stubborn belly fat. Our two most direct ways to affect our metabolic state (read: hormones), are training and nutrition. It’s no longer about just one thing, being nutrition, exercise, calories or fasting. We are at the age of understanding that everything is connected, and primarily express via hormones. We can see that we have control over our hormonal state both in how we eat and how we train. There are many ways to eat and there are many ways to train – and the two are highly interconnected. For example: the structure of fasting we promote, will favor growth hormone release. You can then use it to break more body fat during your training. If you have broken the fat and taken some means to oxidize it, you shouldn’t feel hungry at all. Not feeling hungry goes well when trying to fast. The two goes together. If you looked at calories alone, you might have tried to just eat less and train more (regardless of fasting). This wouldn’t drive the same hormones and would result in a bad platform to launch your training from. It also means you won’t get as much growth hormone and so less results in fat burning and breaking. When you look at it in this context, calorie deficit (whether though training or through diet) doesn’t make much sense anymore. You can’t exercise for 500 calories deficit or eat for the same deficit and expect the same results. Because the two create very different hormonal states which efficiently lead to the end result. Traditional fitness talks a lot about calories and how we can change the calories via nutrition and exercise. But that is a messy approach, which ignores major players like hormones, cellular structures and gut factors. It allows people to stay on the same calories, drinking diet sodas, while destroying their gut – the results are not the same. But, while we still deal with nutrition and exercise, the focus is different. We are trying to control our hormonal balance. This changes the rules of engagement all together. You eat dinner early and you skip breakfast. The aim is to fast at least 14h but it can accommodate up to 21h fasting. Strictly two meals a day, one small / medium, and one medium to large. Once a day, optional shake (protein + probiotics / prebiotics) if you get hungry – other than that there is no snacking. During fasting, you are only allowed drinks that wouldn’t spike Insulin, attenuate growth hormone release or harm the gut. That means tea / coffee / water are all ok but without milk / cream / sugar / sweeteners or anything of the sort. Same goes for most supplements (BCAA, Creatine, Caffeine, Yohimbine etc…). If they come with flavor to mask a bad taste then they have artificial sweeteners. which either spike Insulin or harm friendly gut bacteria. If they attenuate growth hormone release (for example, like L-Arginine), then we can’t have them before training. Still, they may have a place towards the end of the fat-loss training, where growth hormone is less of a concern. Hunger response is somewhat modulated by the training protocol. They are highly connected and affect each other. What and how much do you eat? There are no calories and no strict guidelines on exactly how much you should eat. We aim for a medium plate for the small meal and a slightly larger plate for the bigger meal. If you are still hungry, you can add a bit of food – but that doesn’t mean having a full second course or stuffing yourself. We try and preach sensibility. We also educate that our cravings aren’t always a matter of will power. Our mind receives messages from our microbiome and hormones such as Gherlin and Leptin. With bad probiotics comes bad messages which encourage us to take sugar. Instead of fighting the urges, you can work behind the scenes. You can improve composition of your microbiome and change the message. By improving our hunger response, we don’t crave more and more. It’s not mind over matter, it’s gut over mind. We have limits on carbs and targets for sodium. We aim for around 3.5g of sodium a day as you need more than the average american low-sodium guideline. You are sweating it out when you exercise and also to keep metabolic health. Carbs are generally kept under 60g a day, which is close to the keto range. We don’t rely on diet alone to produce ketones (i.e. this is not about nutritional ketosis). In fact, we take a broader view of how ketones are produced (when you break fat). If the desired effect is break fat, the breaking more fat is even better. We do it by giving our body a better platform (less Insulin) and better training protocols. Beside carbs, the foods we choose should support our gut. Think Prebiotic and probiotic / organic veg / meat which wasn’t treated with anti-biotics. Bad stuff that our food goes through often passes on to us and can wipe off large parts of our microbiome. Fruits are allowed within the meals (at small quantity) and vegetables are a considerable part of your plate. The recommended diet accommodates everyone from vegetarians & vegans to meat eaters. There are no unreasonable targets and no protein shakes all day. You can say it’s a very balanced diet and very low in processed / treated foods. The intermittent Fasting protocol we put forward is a great platform, nothing more and nothing less. You still have to make good use of that platform to get optimal results. How should you train with the LION? Something beautiful happens when you discover truly fasted training. You start your training, slightly hungry, after 12h of fasting that includes your 8 hours in bed. Hungry like a lion. A few minutes into your training something changes, you become sharp and feel great. You are performing, fight or flight, like a lion that’s hunting. As you lower Insulin, you are allowing hormones like growth hormone and Adrenaline to function at a much higher level, naturally. This gives you a better, stronger and sharper workout and makes you feel alive. 4-5 times a week, you MUST train after 12 hours of fasting. Any high intensity training followed by low intensity training would produce some results. If you are just starting out, you could try 20 mins of short Sprints followed by a long run. Did you just sing? Good! Less hunger. Ever had disturbed sleep and realized you were really getting hungry the next day? It’s not a coincidence! More melatonin = more growth hormone. There are many things that affect metlatonin product from temperature, to light and all the way to how you manage EMF / EMR exposure. More energy and strength. Many people who sleep 4 hours a night, say they have enough energy to do everything they need. That’s because of how we perceive it. If you put it to the test, you are stronger and sharper in every way after a good night sleep compared to a bad one. How to increase cognition and BDNF in the body and improve longevity. How to improve gut health, thyroid hormones and hunger response. We also look at immune response and other important metabolic functions. How to improve sleep quality over sleep time. This would warrant an entire book to cover in-depth. A good structure of training and a good structure of eating (including timing) would set the ground rules. Using certain nutritional components and supplements to push certain responses in your favor. Give you more Adrenaline when you need it or build up your testosterone for the next day. When you’re doing the LION protocol, you have a unique opportunity to treat and heal your gut. Especially if you are looking for better results. Your friendly bugs and non-friendly bugs have direct influence on your brain and they control what foods you crave. If you thought you were in control you were wrong. Better absorption of food means less of it will cause inflammation and cortisol and you will have less work against fat storage. Ketogenic diets often miss on a unique opportunity. The low sugar state they promote makes gut parasites move around (we all have them… sorry to be the one to tell you). As they move around (they look for sugar and you are starving them), they can create micro-injuries. There are ways to kill intestinal parasites so that you can starve them and not let them injure you in the process. 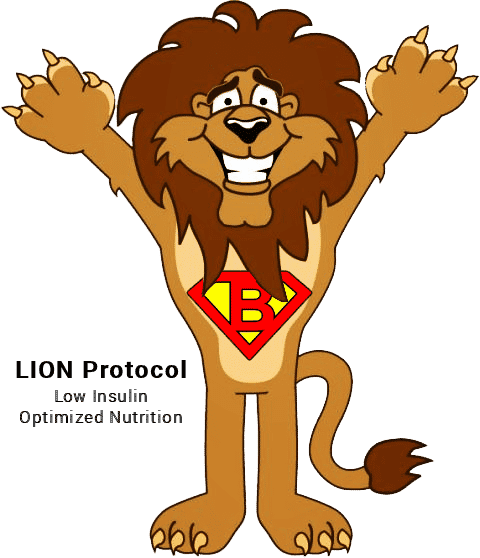 Hold on, do I need the BellyProof program to use the LION Protocol? If you want to start with something and not commit to a program, the protocol above will serve you well. It’s an intermittent fasting protocol more geared towards better results with fat loss. If you want to get serious about losing fat fast, consider that this is a good starting point but that’s about it. You can imagine that if you decide to get the full program, you are going to get something brilliant. It’s a simple question of whether you want to try some stuff or do the whole protocol in full. The full BellyProof program took years to put together and it goes into extraordinary depth. It includes specifics, tutorials and results beyond what most people are aware possible. If you are very serious about losing fat fast, than taking on the BellyProof challenge can do a lot for you.